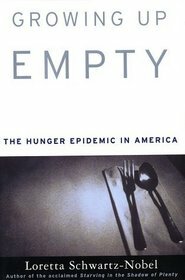 Growing Up Empty: The Hunger Epidemic in America, by Loretta Schwartz-Nobel. Jordan Blevins, Advocacy Officer with the Church of the Brethren, recommends this book. Published in 2002, it gives an overview of the problem of hunger in the United States through various lenses – the middle class, the always poor, the working poor, the military, the homeless, and more. And, of course, this is a problem that hasn’t gone away, but rather gotten worse since 2002.